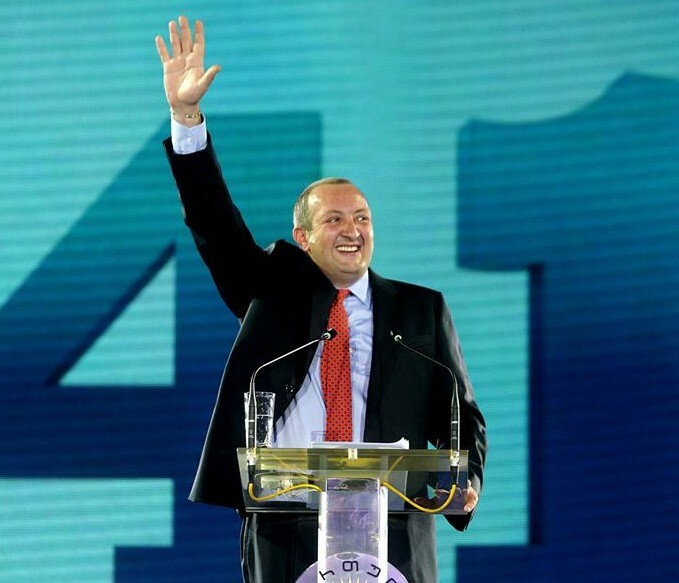 Giorgi Margvelashvili, the Candidate of the Georgian Dream Party has launched his political programme ahead of Presidential elections in Georgia on October 27. Speaking at a grandiose event which was also attended by Georgian Dream leader, Prime Minister Bidhzina Ivanishvili, Margvelashvili outlined his vision of the Georgian Presidency in the future, saying that the president will be a guarantor of political freedom and a democratic system. Once more endorsing Margvelashvili’s candidacy Ivanishvili told supporters that if they trusted him they should also trust Margvelashvili and vote for him. Reporting the event, Inter press news quoted Margvelashvili as saying that “The president will protect everyone’s rights. The President will be involved in the country’s foreign investment attraction and in creation of a reliable partner reputation for Georgia. The President will be a partner of the government and the parliament and this cooperation will be mainly focused on engaging our society. The President will take care of popularization of the Georgian culture on the international arena,” said Margvelashvili. Margvelashvili named economy as the country’s major development priority. “It’s important to create a stable environment, strengthen the existing capacity, attract investments, expand markets and ensure more involvement in international economic projects,” said the presidential candidate. According to him, the main task of the President is to take care of security of the country. “Long-term guarantee for the national security is full membership of the free world that will be achieved by integration with the EU and NATO. We should ensure a permanent increase of professionalism and efficiency of the armed forces in order to overcome any danger and challenge. Foreign policy should be strengthened and activated to achieve European and Euro-Atlantic integration, to deepen bilateral relations with international and regional partners, especially with the United States and the EU countries, to strengthen regional cooperation, to continue the non-recognition policy and to achieve de-occupation. It is especially important for Georgia to achieve de-occupation of the territories of Abkhazia and the Tskhinvali region and to restore the country’s territorial integrity within the internationally recognized borders. We offer compatriots living in Abkhazia and the Tskhinvali region to build a successful democratic state together,’ said Margvelashvili. According to him, Georgia has a historic mission to become a place of cooperation, dialogue and agreement between Europe and Asia. ‘’It is also important to establish closer regional cooperation with Turkey and Azerbaijan in energy, transport and trade areas, as well as regional cooperation with the Black and Caspian Sea countries. Expansion of economic relations with Russia is also very significant within the framework of the World Trade organization,” said Margvelashvili. A special issue of Caucasus Elections Watch focusing on the presidential election in georgia will be published on 17 October. it will also be available online. Souce Caucasus Elections Watch with Inter Press news.